If you have any questions or want to enquire about dates, use our form to contact Fernando de Otto Samaniego or see their website for more information. Gaze on huge views – from the hammock in the garden to the carved balcony above. Surrounded by pastures, woods and gentle hills, this 18th-century building stands in little Carmona. Both house and village are beautifully preserved. You feel at home the moment you walk in, thanks to hosts Lucia and Fernando. A narrow hall leads to a wooden stair and bedrooms above (the bigger two in the attic). Pour yourself drinks from the honesty bar, look forward to tapas at supper. Breakfast is a speciality here (local, varied and delicious) and at weekends you can sample their ‘cocido montañes’, the famous Cantabrian stew. 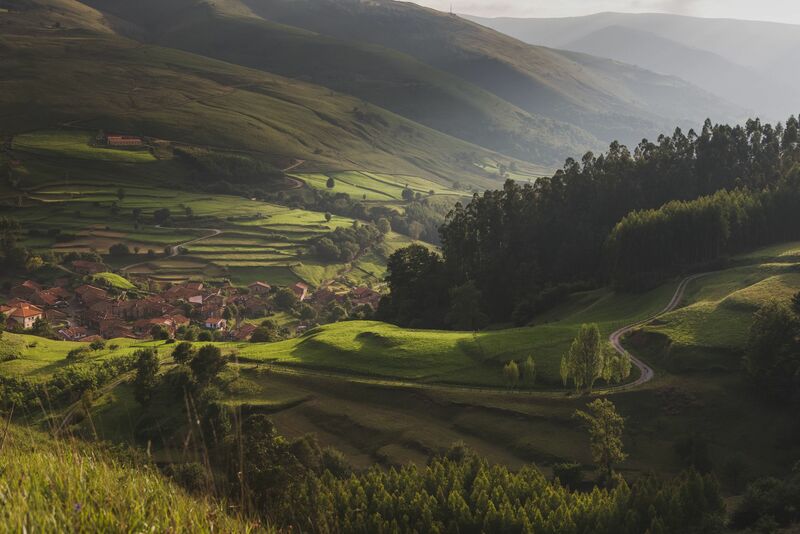 Cyclists will be happy, and this mountainous terrain is home to the ‘10,000 El Soplao’ every May. There are surfing beaches in the north, and Michelin stars in Santander. Put your foot on the pedal and you can be there in an hour. Dinner ‘a la carta’ available. Singles €70-€120. Sofabed available: €25-€30 per night. 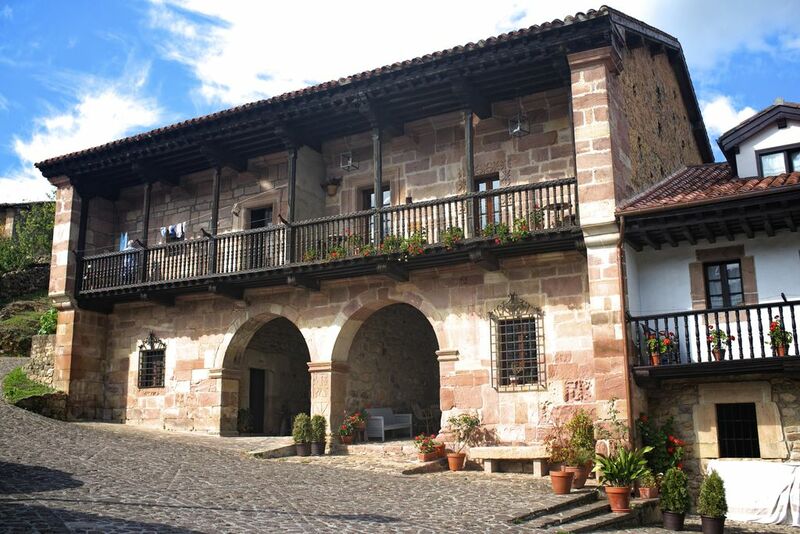 Superb in every respect: the village of Carmona, stepping back in time to a gem nestled amongst the mountains of Cantabria; the hotel, beautifully appointed, spotlessly clean, with its wonderful garden and views; and the hosts, Fernando and Lucia, so professional and friendly. 100% recommendable. 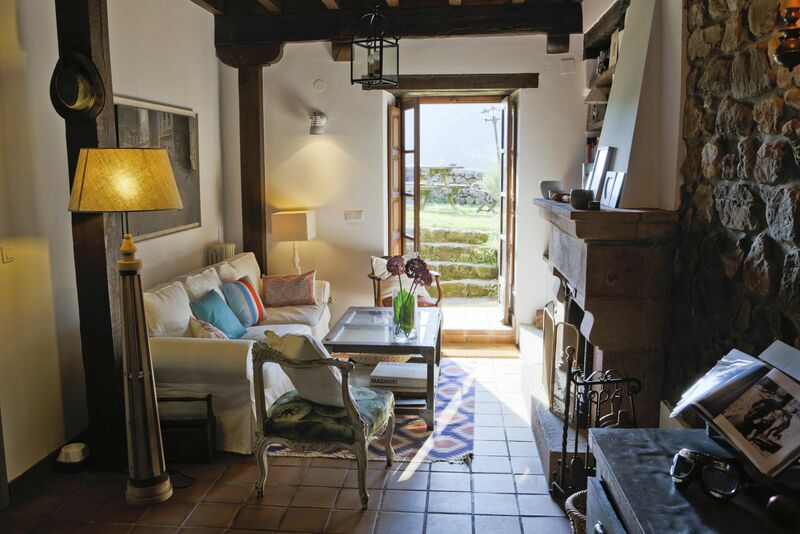 La Infinita is situated in a tiny stone village, full of charm, surrounded by peaceful countryside. Less than an hour from Santander, but far away from anything you can imagine. Hosts Lucia and Fernando are a friendly couple who fled the stress of city life to make their home in Green Spain. 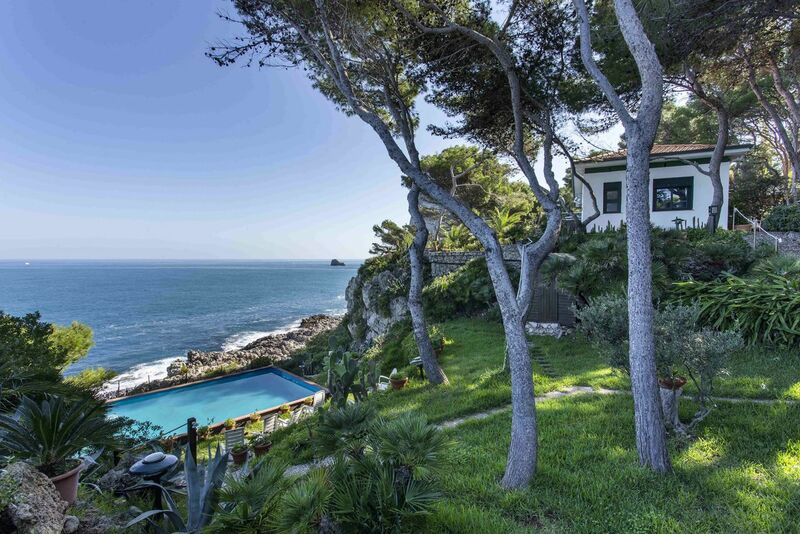 This an ideal base for active holidays if you enjoy walking, cycling, surfing or golf. Also a good destination for those looking to take it easy, enjoy the regional cuisine, stroll around the village and take a drive on winding roads with lovely views. The cobbled village of Carmona is a delight to wander, and its restaurant-bar, Posada El Puente, is a three-minute stroll. The village is set in a green region known for outdoor pursuits, especially hiking and biking. Cantabria is also renowned for its caves, from the stunning crystals of Cueva de El Soplao (13km) to the cave paintings of Cueva de Altamira (40km). Cantabria’s capital Santander (65km) has handsome belle-époque buildings, great sweeping beaches, and some of the most exciting restaurants in Spain. San Vicente de La Barquera is one of the most popular fishing villages in the north coast. This is the perfect place to enjoy seafood and one of the most stunning beaches in Cantabria, Oyambre Beach which stretches over more than 6km. Relax or try surfing! Lucia and Fernando swapped busy lives in Madrid for peaceful ‘Green Spain’. Warm, friendly and full of enthusiasm, they enjoy simple village life, cook tasty food, and offer special experiences such as guided photo shoots.